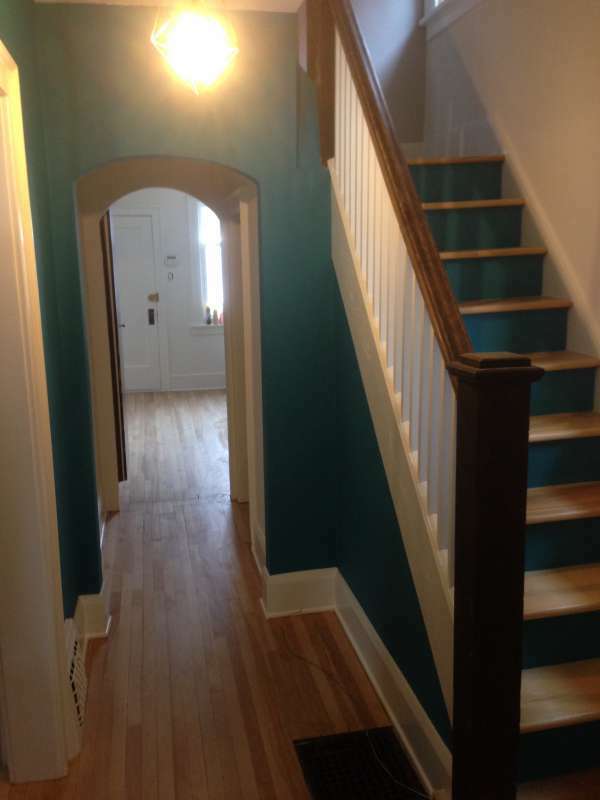 Renovated home in the Glebe with open concept and long corridor. The charm and character that displays in this lovely home are what makes every house in the neighborhood unique. Older homes are full of charm and character. Both the interior and exterior architecture of homes in Ottawa Centre areas like the Glebe, or Little Italy, Preston Street, Civic Hospital, Parkdale, and Island Park to name a few were built anywhere between 50 and some even 100 years ago or more. 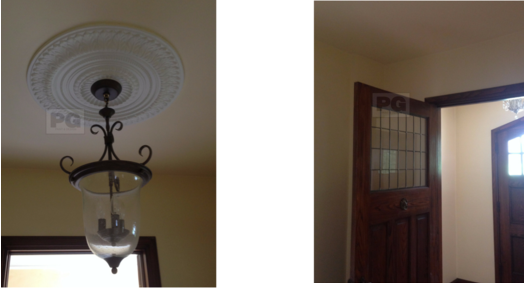 PG PAINT & DESIGN ensures they get the extra TLC they deserve with our promise of providing you the homeowner with the best of our house painting services. 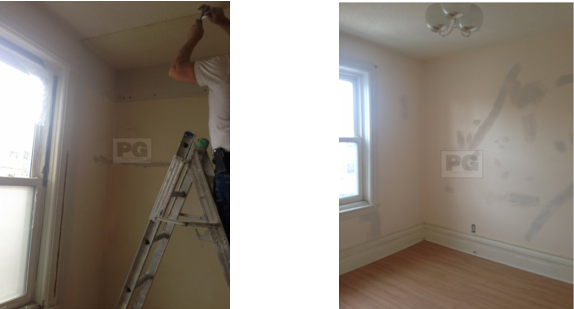 A few before and after photos of work we did in The Glebe area follow. Stipple ceiling removal, skim coat of drywall compound applied, sanded to smooth finish, primer is then applied before any ceiling paint is rolled on. This same process applies to both ceilings and walls. By providing our drywall and plaster repairs which are always included in any interior painting service we do, it ensures you the homeowner receive the best looking results you are paying for. 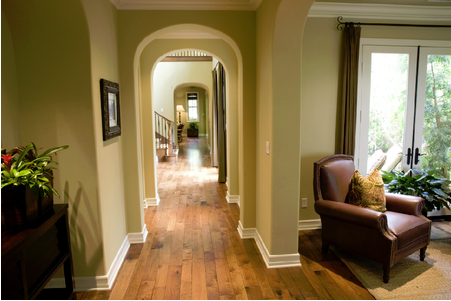 Our services including both interior and exterior painting services receive our full and complete attention. It is our mission and guarantee to provide you with the professional look you are looking for. 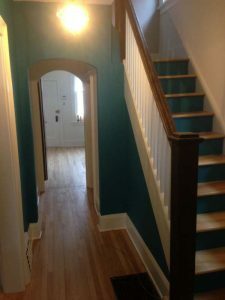 If you would like to read up on more about our painting tips feel free to visit our blog section for DIY tips, choosing the right paint finish, help with picking out paint colours and so much more. 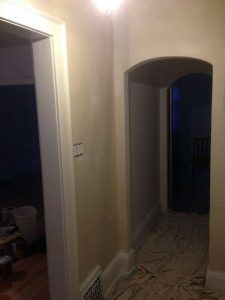 ​We look forward to the opportunity of working with you on your painting and decorating project. Adding to your home decor, home improvements and renovations with painting is a cost effective way to make your space feel new again. 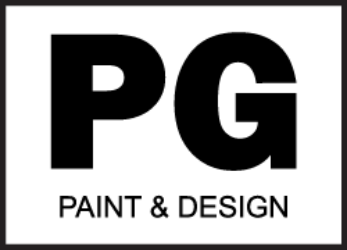 As professional painters of over 30 years PG PAINT & DESIGN guarantees quality craftsmanship, attention to detail, and 100% satisfaction. 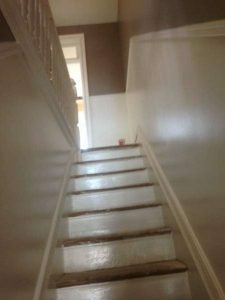 Find out more about the experience others have had with our painting company in Ottawa. Read their full Testimonials and Reviews. 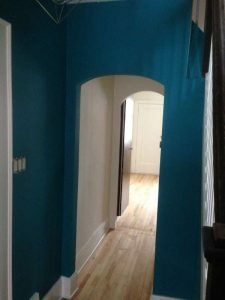 If you are considering choosing paint colours and need our assistance we can provide suggestions with a consultation when we meet for a painting estimate. We look forward to being your painting company of choice in the Glebe, Landsdowne, Dow’s Lake and Ottawa Area. 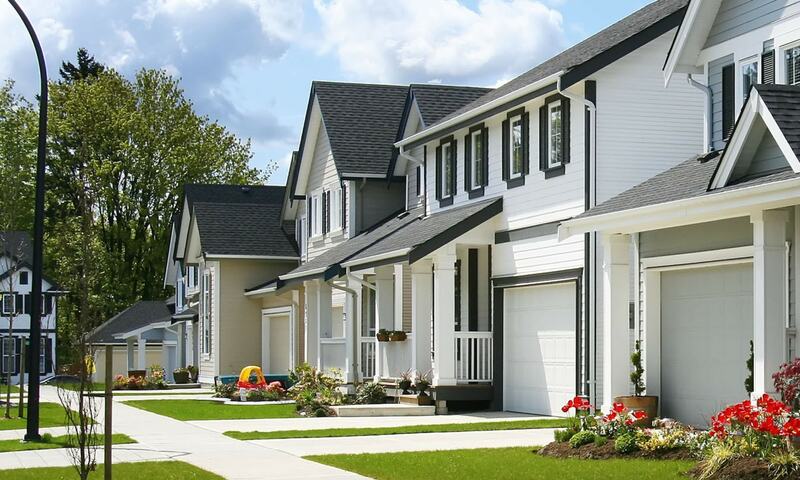 Visit our service areas for a neighborhood near you we are certain we’ve painted.